By now, hopefully, you’re gaining a little more confidence in your photography. I hope it’s becoming more natural. I hope the camera feels comfortable in your hands. The only way to continually gain more confidence though is to keep pushing yourself out of your comfort zone. Something I’ve been doing for years now, and I still don’t feel totally comfortable doing, though is shooting strangers. There’s a great tradition from Cartier-Bresson to Gilden (google him!) of taking pictures of strangers. Some people call it “Street Photography”, others “voyeurism". What is certain, though: the results are compelling and the process exhilarating. Your task this week is to take a photo of a stranger. You can ask them before you take a photo of them if you’d like, or try to catch a candid snapshot. What are the ethical issues around shooting photos of strangers? 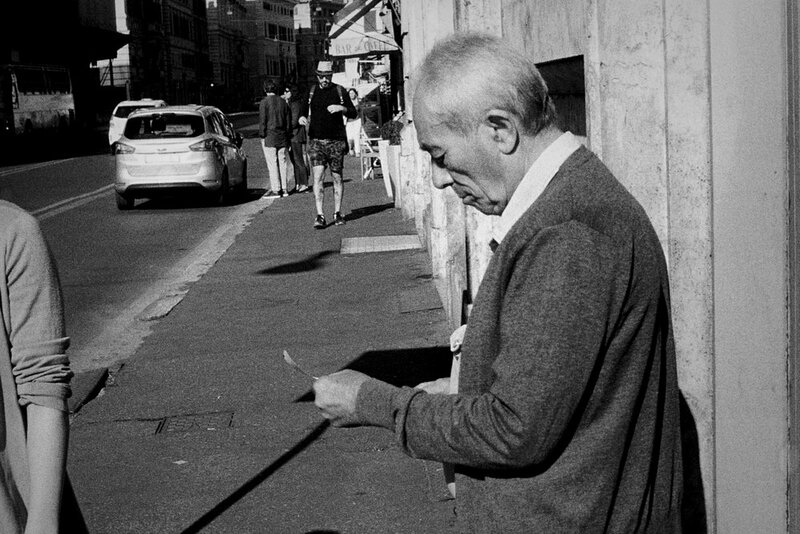 How does taking photos of strangers make you feel? Do you like having your own photo taken? Do you think that influences the first two questions?